Mrs Mighetto is a swedish brand that was established in 2014. The brand primarily produces posters, but also wallpaper and minor interior like temporary tattoos, cards and notebooks. 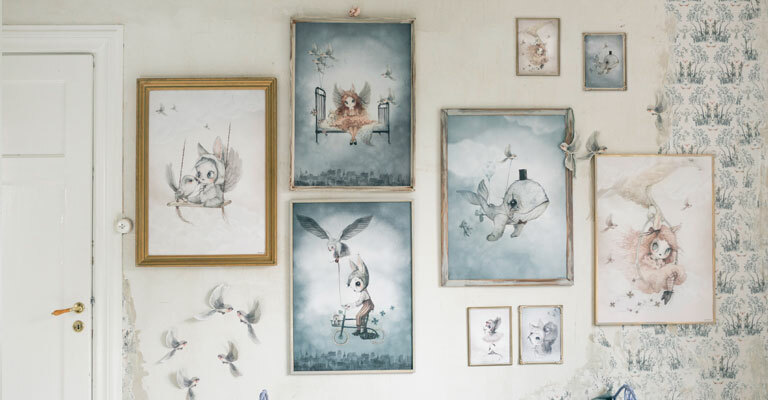 The products are based on original watercolor paintings and they come in limited editions - because Mrs. Mighetto believe in quality over quantity. The different products depict different magical characters with their own name and personality, illustrated in lovely, calm colours. The mysterious figures are exciting for children and their parents alike. For instance hang the picture on the wall above the bed or by the changing table, as entertainment.